Following consultation with the 4 clubs involved, the Round 3 fixtures in the Garvey’s SuperValu Co. Senior Hurling Championship [Corn Neilus Ó Floinn] have been revised in order to facilitate viewing of the All-Ireland hurling semi-finals this weekend. They will now be played as follows: Saturday, 28 July at 7.30p.m. Crotta v Kilmoyley; Sunday, 29 July at 1.00p.m. St. Brendan's v Lixnaw. Both games at Austin Stack Park. Both Ballyduff and Causeway are already through to the semi-finals, to be played on the weekend of 11 August. Quarter final results - Kilmoyley 1 - 13 Lixnaw 0 - 14; Kilgarvan 2 - 15 Lady’s Walk 0 - 8; Dr. Crokes 2 - 18 Kenmare 0 - 11; Causeway 3 - 18 St. Brendan’s 1 - 8. The semi-finals go ahead on this Wednesday, 25 July, 7.00p.m. - Kilmoyley v Kilgarvan at Lewis Road; Dr. Crokes v Causeway [check with clubs for details]. Results: St. Brendan's 2 - 12 Ballyduff 2 - 8; Ballyheigue/Causeway 2 - 18 Abbeydorney 1 - 10; Tralee Parnell's 3 - 12 Ballyduff 0 - 9; St. Brendan's 4 - 24 Lixnaw 1 - 7. The Ballyheigue/Causeway v Kenmare/Kilgarvan game did not go ahead. Co. Under 16 Hurling Championship Plate quarter final results: Lixnaw 5 - 7 Tralee Parnell's 3 - 11 ; South Kerry 8 - 8 Kilmoyley 1 - 8. The semi-finals are scheduled to go ahead this weekend. The Cup semi-finals are fixed for this Friday, 27 July - Ballyduff v Kenmare/Kilgarvan and Ballyheigue v Abbeydorney. Check with clubs for all fixture details. North Kerry Under 14 B championship Final result: Abbeydorney 4 - 10 St. Brendan’s 4 - 8. Abbeydorney captain was Peter Hinchcliffe while Jack Hannon won the Player of the Match Award. The Ballyheigue and Ballyduff Under 14 A Championship Final is fixed for Sunday, 5 August. North Kerry Under 15 Hurling Championship, Round 1 result - St. Brendan’s 4 - 19 Lixnaw 0 - 5. Round 2 on Sunday week, 29 July. 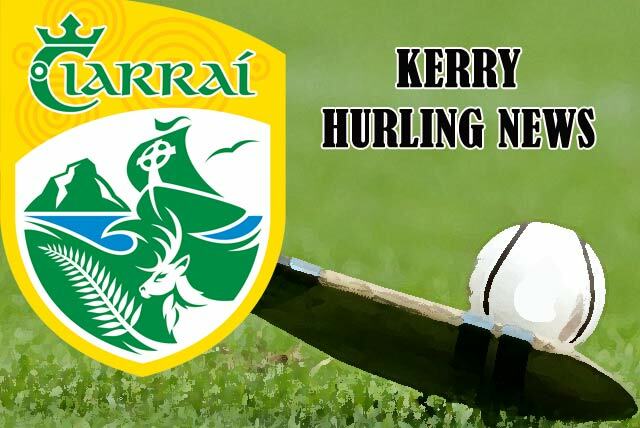 The North Kerry Under 13 'A' and ‘B’ Championships will continue on Tuesday next, 31 July. ‘A’ fixtures – Kilmoyley v Ballyduff ; St. Brendan’s v Crotta. ‘B’ fixtures - Ballyheigue v Lixnaw; Tralee Parnell’s v Causeway; Abbeydorney; bye. First named team at home; games at 6.30p.m. with further rounds each Tuesday. The North Kerry Under 12 Blitz competitions take place at Lixnaw and Ballyheigue on this Saturday, 28 July, commencing at 10.30a.m. at each venue. Check the North Kerry Hurling Board Facebook page for details.